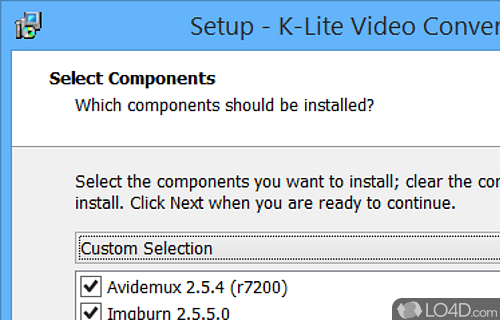 The K-Lite Video Conversion Pack is an outdated set of tools designed to convert certain types of video formats. It includes Avidemux, ImgBurn and DVDStyler. The conversion pack enables users to complete several tasks, the most popular being the ability to convert video files to proper DVD suitable for burning on blank discs. Avidemux: The comprehensive nature of this video conversion suite allows for the re-encoding of video files into different formats including AVI and MPEG. You can also use K-Lite Video Conversion Pack to perform various video editing tasks including resize, crop, fade-in/fade-out, backwards, add borders and several others. ImgBurn: In line with the ability to create DVD discs is the inclusion of the freeware ImgBurn program which allows you to burn CDs and DVDs. The application can create DVD menus and more. DVDStyler: This program allows users to design and create DVD elements and can work with different video file formats. In conclusion: Despite its outdated nature, K-Lite Video Conversion Pack is a comprehensive set of video conversion and DVD creation tools which facilitate the creation of DVD discs for viewing. 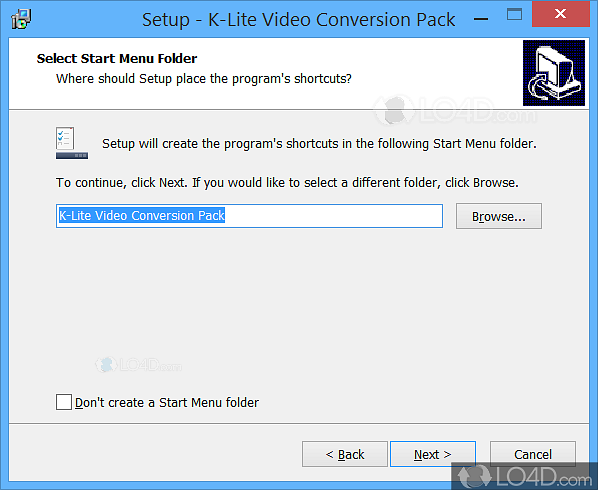 K Lite Video Conversion Pack is licensed as freeware for the Windows (32-bit and 64-bit) operating system / platform from media converter software without restrictions. K Lite Video Conversion Pack 1.9.0 is available to all software users as a free download (Freeware). Compatibility with this video conversion software may vary, but will generally run fine under Microsoft Windows 10, 8, 8.1, 7, Vista and XP on either a 32-bit or 64-bit setup. A separate x64 version may be available from Codec Guide. This download is distributed as klvideoconverter190.exe. 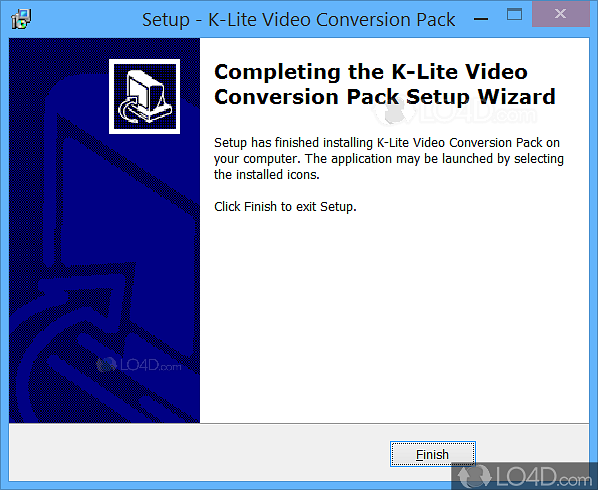 We have tested K-Lite Video Conversion Pack 1.9.0 against malware with several different programs. We certify that this program is clean of viruses, malware and trojans.